All caught up on your tax deductions? 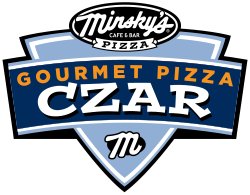 Sounds like the perfect time for a Minsky’s Pizza price reduction! This Saturday, April 13 through Tuesday, April 16, 2019 enjoy not one, but TWO Gourmet price reductions sure to make you – and your wallet – happy! VIP: Sign up for our VIP list! We’ll email you your coupon with even more delicious deals in the future. 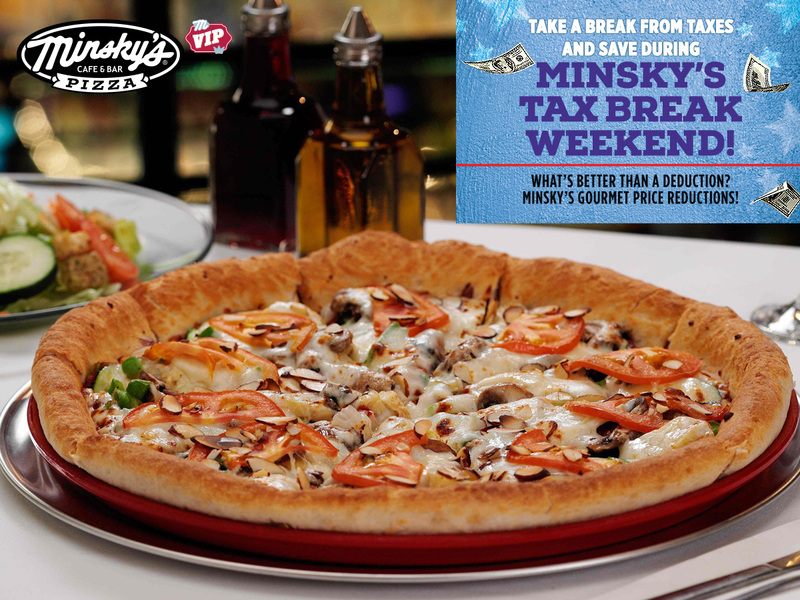 We know you’ve been working hard for the money; Minsky’s is here to treat you right! Valid at all KC Metro and Lawrence Minsky’s locations Saturday, April 13, 2019 through Tuesday, April 16, 2019. 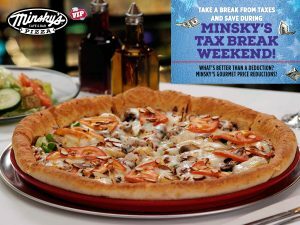 Redeem offers at Minskys.com with checkout code TX1040 (for Small Gourmet Pizza) and checkout code TX2019 (for Large Gourmet Pizza and Cheese Breadsticks.) Dine in, Carry Out, Delivery or Order Online. Not valid with other discounts, promotions or package deals.